FARGO – The city is requesting help from the public to produce one million sandbags in preparation for the 2019 Spring Flood. There remains a 10 percent chance waters will rise up to 40.3 feet, higher than the flood of 2009. 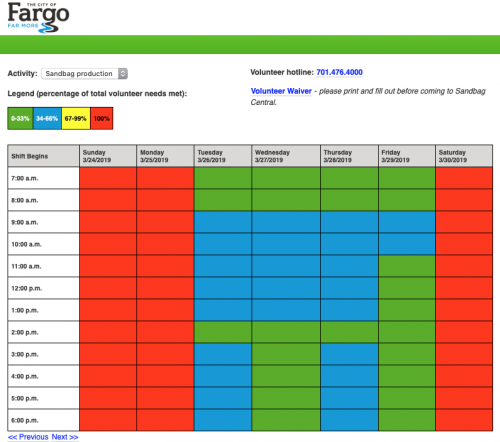 The City of Fargo does not anticipate volunteers will be needed on the weekends at this time.